The Network is lead by a steering group, consisting of the leaders of national units. For further details on each member, click on his or her name in the lists below. Pastor in Alta, Norway 1980-85. Director Caspari Center of Biblical and Jewish Studies, Jerusalem, 1986-93. Research associate Norwegian Lutheran School of Theology, Oslo 1993-96. Lecturer (from 1999 Associate Professor) in Biblical and Jewish Studies, Lutheran Theological Seminary, Oslo, 1997-2004. Associate Professor, Høgskolen i Staffeldtsgate, Oslo, from 1 Aug 2004. Ph.D. The Hebrew University of Jerusalem, 1998, on 'An Analysis of 4QInstruction.' Since 1992 member of publication team, Dead Sea Scrolls Publication Project. Numerous studies on the scrolls and related subjects (Old Testament, pseudepigrapha) since 1994, specializes in wisdom literature from Qumran. Born 1953, academic studies in Semitic Languages, Classical Greek and Theology at the University of Lund (graduate 1978, ThD 1989). Feast and Future. Revelation 7:9-17 and the Feast of Tabernacles (Coniectanea biblica: New Testament Series 22; Lund: Almqvist & Wiksell, 1989), followed by several articles on apocalyptic literature, on the Qumran texts, and on the Jewish and biblical background of various New Testament concepts and ideas. Post-doc scholarship on the Feast of Tabernacles in biblical and post-biblical times until the Talmudic era resulting in the monograph The Story of Sukkot. The Setting, Shaping, and Sequel of the Biblical Feast of Tabernacles (Beiträge zur Geschichte der biblischen Exegese 34; Tübingen: Mohr/Siebeck, 1998). 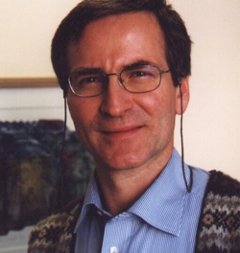 Between 1980 and 1999 various teaching and research appointments in the Section of Biblical Studies at the Faculty of Theology, University of Lund ('Docent' title 1997); also from 1990 until 1993 as Lecturer and External Lecturer in New Testament Exegesis at the University of Copenhagen. Since 1999 Senior Lecturer in Biblical Studies at the Department of Religion and Culture at the University of Linköping; from 1 July 2000 Head of Department. Member of the Societas Novi Testamenti Studiorum (SNTS) since 1998. In my research and teaching I have concentrated on three fields. My main area of expertise is the Septuagint and particularly its translation technique. During the last decade the Qumran studies have become more and more important to me, alongside with the Septuagint. I am the head of a research team working on both of these fields. The team belongs to the Research Unit on the Formation of Early Jewish and Christian Ideology, a Centre of Excellence funded by the Academy of Finland. My third field of interest is theological women's studies. Assoc. Professor of the Old Testament. Co-editor of the new authorized Danish translation of the Bible 1979-1992, and of a new authorized translation of the Apocrypha 1993-1997. 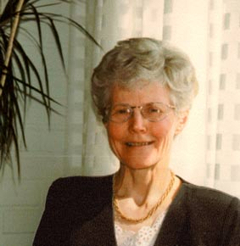 Ph.D. in theology 1994, title of thesis, Understanding of Scripture in the History of the Danish Bible. Editor of a new Danish translation of the Dead Sea Scrolls, Dødehavsskrifterne og de antikke kilder om essæerne i ny oversættelse [= The Dead Sea Scrolls and the ancient sources about the Essenes. A new translation]. Frederiksberg: Anis 1998. Fields of research: The history of use and interpretation of the Old Testament. Qumran studies: exegetical literature, poetical literature. I wrote my doctoral thesis about the so-called code names in the Pesharim, arguing that these names should not be viewed as a historical cipher, but rather that these should be regarded as a part of the ideological discourse of the Qumram community. Visdom og apokalyptik i Qumran-skrifterne [Wisdom and Apocalypticism in the Dead Sea Scrolls]. 2000, 264 p. A presentation of wisdom literature and ideology in the Dead Sea Scrolls with main emphasis on the latest published sapiential texts and their relation to apocalyptic ideology. "Visdom og apokalyptik i Musar leMevin (1Q/4QInstruction)." [Wisdom and Apocalypticism in Musar leMevin (1Q/4QInstruction).] Dansk Teologisk Tidsskrift 65 (2002), 1-14. 1. The linguistic dating of biblical Hebrew. 2. Linguistic, esp. 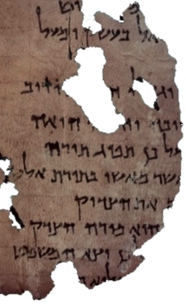 syntactic, diversity in Qumran Hebrew; is the diversity connected to theology, chronology, style, provenance, or other factors? 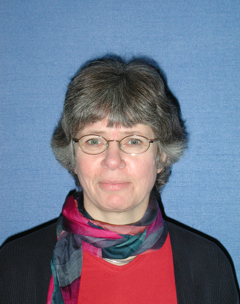 Has worked extensively on the DSS and published articles (in Danish and English) on the great Isaiah Scroll and 4QMMT. Contributed to the reedition of John Allegro's volume in the DJD series, and to the Danish DSS translation project. Ph.D., assistant professor in Old Testament Studies. PhD dissertation: Verbs and War Scroll: Studies in the Hebrew Verbal System and the Qumran War Scroll (2004). Worked as research assistant on publication of several Qumran texts. Contributed to the Danish DSS translation project. Title of thesis: Covenant in Judaism and Paul. A Study of Ritual Boundaries as Identity Markers. Leiden: Brill 1995. Current research: A study in progress on 1. Peter, including an examination of terms and images common to 1. Peter and the Qumran literature in order to see whether or not there is a possible Qumran influence on 1. Peter. 1) Together with archeologist David Warburton, University of Aarhus, I am presently involved in a minor project pertaining to the relationship between some of the newer archeological problematisations of the traditional understanding of the ruin complex and some recent criticism with regard to traditional interpretations of the cave texts. 2) I am currently interested in scrutinising different tendencies witnessed by the Qumran texts with regard to the type of religion they are representing (religion of blessing vs. religion of salvation; locative vs. utopian forms of religion). The House of the Lord: A Study of the Temple Scroll Columns 29:3b-47:18. Identity on A Continuum: Constructing and Expressing Sectarian Social Identity in Qumran Serakhim and Pesharim (public defense on 17 Dec 2005). What were the possible relations between the Essenes (the Teacher of Righteousness) and the Temple of Samaria before the Community of Qumran was established. The Story Behind the Text: Scriptural Interpretation in 4Q252 (public defense in May 2005). 4QMMT - The Problem of the Epilogue. Motive und Schichten der Landtheologie in I Chronik 1-9. Coniectanea biblica: Old Testament Series 28. Stockholm: Almqvist & Wiksell, 1989. Det gamle testamentet: Analyse av tekstar i utval (editor). 2d ed. Oslo: Samlaget, 2000. 3d ed. Oslo: Samlaget, 2003. Presently working on biblical scrolls from Qumran and the early Samaritan tradition. Fields of research: The Gospel of Matthew; Synoptic theology; The Sermon on the Mount; Theology of Baptism. Missiology. Bible Translation. Poverty and the Poor in The Hebrew Bible, in Early Judaism and The New Testament. Qumran Studies: The terminology of poverty; eschatological expectations. Has given introductions to Qumran as courses and in a book. Has published a contribution to 4Q521 in ZNW 88 (1997): 111-125 and in JSP 18 (1998): 87-110. Has published articles on biblical exegesis in Qumran and the Melchizedeq tradition. Dr. theol. dissertation: Beyond Philosophy: Studies in Josephus and his 'Contra Apionem'. Fields of interest: Second Temple Judaism, Jewish roots of Christianity, Jewish-Christian relations. submitted to the University of Bergen, Norway, in December 2006; defended on 7 Dec 2007. Research interests: Land traditions within the Pseudepigrapha and the DSS; "Damascus" of the Damascus Document; "Space", "place" and narrartive geography in Jewish (late) antiquity. "The New Testament Reception of Judaism in the Second Temple Period." Pages 15-31 in The New Testament as Reception. Edited by Mogens Müller and Henrik Tronier. Journal for the Study of the New Testament Supplement Series 230. Sheffield: Sheffield Academic Press, 2002. "Amos 9, the Essene Interpretation, and the Apostolic Decree"
Can an analysis of the word/concept ruah in the Hebrew Bible and in relevant Qumran texts lead to a deeper understanding of the passage of the Two Spirits in 1QS? Women in the Damascus Document. Society of Biblical Literature Academia Biblica Series 21. Leiden: Brill, 2005 (hardback), and Atlanta: SBL, 2005 (paperback). Co-author (with Eileen Schuller) of the article "Women" (4000 words), in Encyclopedia of the Dead Sea Scrolls, edited by Lawrence H. Schiffman and James C. VanderKam. New York: Oxford University Press, 1999.